Located 1.4 km from Naukuchia Taal, this is an offering of an eight-bedroom boutique stay, which can accommodate up to twenty-six people. Offering access to cable television, ample parking and the service of a driver, this retreat is perfect for a large group. 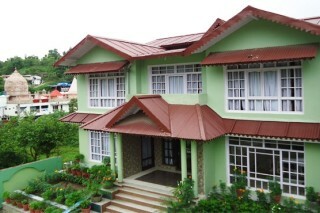 Your Space Nestled in verdant alpine foliage, this retreat is promises a rejuvenating stay. The dining room is appointed with a couple of glass-topped dining tables and chic chairs to dine in comfort. 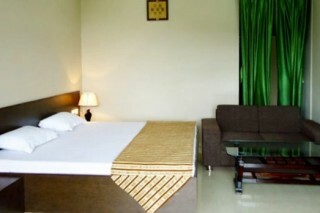 Each of the bedroom is appointed with a comfy bed for sound sleep and coffee seating for convenience. 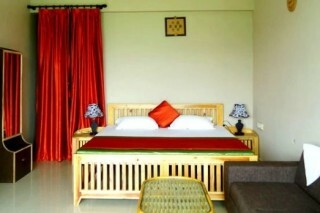 Some rooms features wall-mounted televisions and dressers for added comfort. The washrooms are tiled and appointed with western sanitary ware.